"Hither And Thither Moves, And Checks, And Slays” the liver Cocker Spaniel “Peregrine”, owned by the Countess of Lonsdale, a photogravure by Maud Alice Earl (English, 1864-1943). Signed in pencil, bottom left, “Maud Earl”. Lettered top right “Published on December 1st, 1913, by The Berlin Photographic Company Berlin – London W 149 New Bond Street – New York 305 Madison Avenue”. From the "Whose Dog Art Thou?" portfolio, of nine photogravures,with quotations from Omar Khayyam, and an introduction by Samuel Levy Bensusan. published the same, 1913. English, 1913. 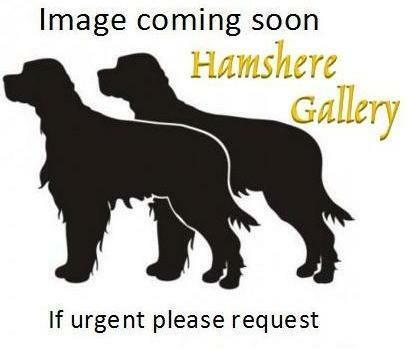 Images are available for research and public use with an acknowledgement to www.hamsheregallery.com. But not for commercial use without the permission of the Hamshere Gallery.